Here’s something you may have missed about Bruce Springsteen’s latest album, Wrecking Ball, when it came out back in early March: It has rapping on it. (See also: Is Bruce Springsteen’s Wrecking Ball a Rap Album?) “Rocky Ground,” the elegaic ballad that includes gospel singer Michelle Moore’s blessedly not-cringe-worthy rap verse, now has a video, but it’s more Asbury Park than WorldStarHipHop.com. 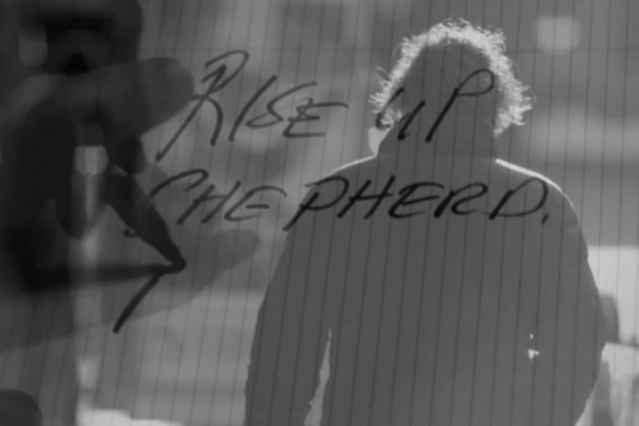 As Springsteen solemnly rumbles about the New Testament admonition against “the money changers in this temple,” backed by a mechanical beat and beautifully weeping organ, the clip sets slow-motion black-and-white footage behind a hand writing out the lyrics with a felt-tip pen. “There’s a new day coming,” the Boss repeats, joined by an angelic choir, but as a raspy sampled voice howls intermittently through the mix, it’s hard not to think of the good old days. We’ve all been downhearted, Boss.